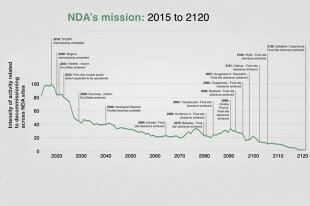 Even though NDA sites are heading for eventual closure, the UK’s ageing nuclear workforce will lead to a shortfall in the medium term. There will also be a demand for skills to deal with future closures of sites in the current global nuclear fleet. In addition, skills are needed for new build and regional economies. The NDA will over time face increased competition for skills, and therefore it is important to plan ahead and to continue to grow our own. 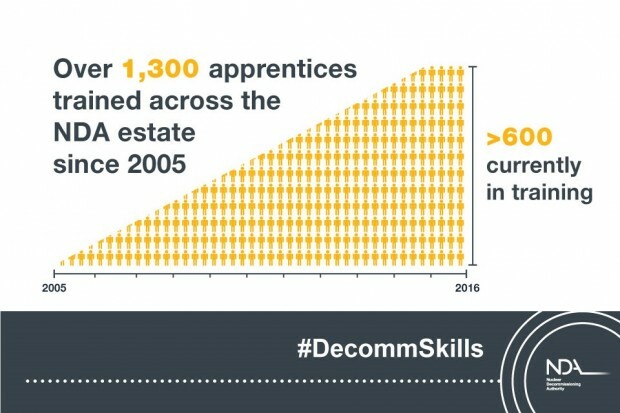 The government is committed to supporting 3 million new apprenticeships in England between 2015 and 2020, and promoting high standards. In addition, apprenticeship levies will encourage greater utilisation of apprenticeships in the workplace. This will include traditional apprenticeship routes and levels, but also innovative ‘trailblazer’ apprenticeships being designed to meet the specific needs of business. Degree apprenticeships are also being introduced. These enable young people, who might previously have gone to university, to study for a degree whilst working and earning. The intent is that these individuals will be better able to contribute to their businesses, because their learning is embedded in the workplace. The individual learner will avoid the burden of university fees, and gain their degree ‘debt free’, a win-win outcome. These new approaches should provide options for people who would not have traditionally considered apprenticeships. 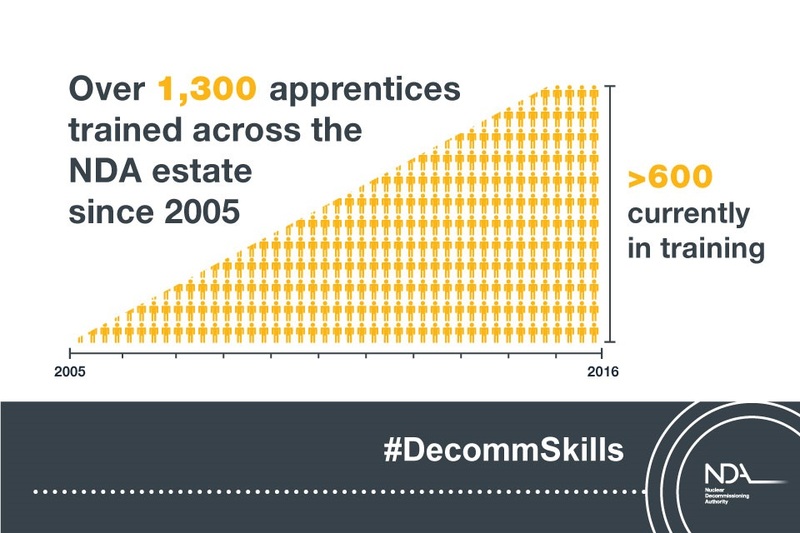 Over 1,300 apprentices trained across the NDA estate since 2005. Over 600 currently in training. The sites across NDA’s estate have a long tradition of training young people. In some cases this dates back 60 years, particularly at Sellafield, which, with a 10,000-strong workforce, is the largest and most challenging nuclear complex in Europe. An important part of the NDA’s people strategy (incorporating skills and capability) is support for apprenticeships both in its Site Licence Companies (SLCs) and in its supply chain businesses. NDA works with schools and colleges to promote pathways towards apprenticeships, as well as celebrating apprentices’ successes through sponsoring awards. Apprenticeships lead to a range of exciting career paths within the NDA estate and wider nuclear industry. 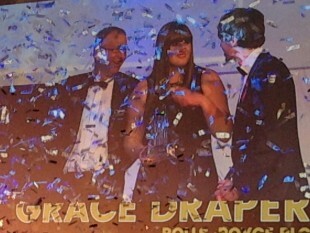 Last week, NDA sponsored the #NuclearSkillsAwards award for National Nuclear Apprentice of the Year. David Vineall, NDA's HR Director, was thrilled to present the prestigious award to Rolls Royce's Grace Draper, who also won Design Apprentice of the Year. 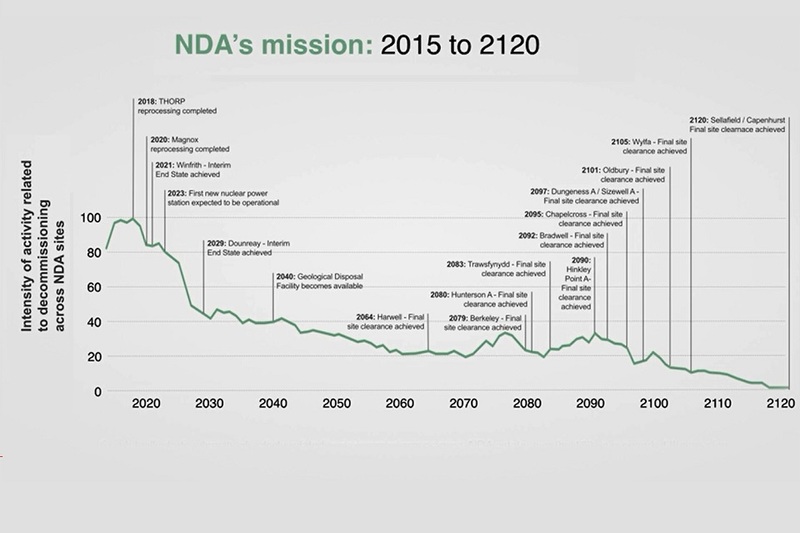 You can also watch our skills strategy video or read the transcript to understand more about NDA's work on skills that support UK's nuclear decommissioning. The NDA has also demonstrated its commitment to Apprenticeships for the future of decommissioning by supporting its supply chain to attract and develop new talent. This has been achieved by the NDA working in partnership with the National Skills Academy for Nuclear (NSAN), by NDA funding the Supply Chain Apprentices for Nuclear (SCAN) programme (formerly called the Community Apprenticeship Scheme (CAS)) and NSAN developing and managing the SCAN programme on behalf of the NDA. This has led to an additional 244 apprentices recruited into the supply chain, providing an excellent new talent pipeline for the future of the nuclear industry. Thanks for sharing this extra information, Jean. It's certainly important for the NDA to work in partnership with other organisations across the industry to make sure that the right people with the right skills are available at the right time and in the right place to decommission the UK's nuclear legacy sites now and in the future. Our mission covers 120 years and nuclear sites in various locations across the UK. Find out more via our our people and skills video on YouTube.